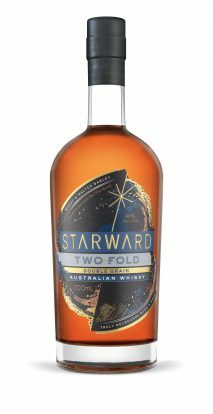 Starward’s latest whisky Two-Fold is enjoying some early success since its release last October, having been named Oak Barrel’s ‘Whisky of the Year’ for 2018. The Sydney whisky retailer, itself recognised by the prestigious Icons of Whisky awards as the ‘Single Outlet Retailer of the Year’ last year, describe Two-Fold as “a definitive release for modern Australian whisky”. “Starward are the first to offer a modern Australian whisky on this scale, at this price point and we think it’s so important for the industry moving forward,” said Scott Fitzsimmons, whisky & spirits specialist and buyer for the Oak Barrel. Created using Australian wheat and barley, Two-Fold makes use of Melbourne’s unique climate to mature its whisky in locally sourced red wine barrels. Ray Noble of Southtrade International, the Australian distributors of Starward Whisky, added: “Consumers are used to Australian whisky being either unaffordable or unattainable. Two-Fold breaks the mould by not only being delicious but also readily available. The affordability of this expression also builds on Starward’s mission to become the most talked about Australian whisky.